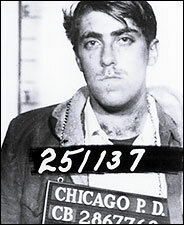 Initially a faction of the radical Students for a Democratic Society (SDS), the Weathermen burst into notoriety in the October 1969 “Days of Rage,” during which hundreds of young people wielding lead pipes stormed the streets of an upscale Chicago shopping district, pummeling parked cars and smashing store windows. Outraged by the Vietnam War and racism in America, the Weathermen became convinced that only revolutionary militant action could force change. In early 1970, members went underground to “bring the war home.” The Weather Underground waged a low-level war against the U.S. government through much of the 1970s. They took responsibility for bombing two dozen public buildings, including the Pentagon and Capitol buildings, eventually landing on the FBI’s Most Wanted list. The documentary The Weather Underground, directed by Sam Green and Bill Siegel, chronicles the rise and fall of this radical movement. Nominated for an Academy Award, the film features candid interviews with former members of the group, one of whom agreed to share his experience with Anne Sullivan for Satya. Mark Rudd was a Weatherman from its founding in early 1970 to the end of that year, when he withdrew from the organization. He remained an underground fugitive until 1977. Currently, Mark is a math teacher at a community college in Albuquerque, NM. What was your involvement in the Weather Underground? I was one of the founders of the organization, dating back to the time it was a faction of SDS, in 1969, through our going underground in March of 1970. I withdrew from the Weather organization at the end of 1970, but remained a federal fugitive, in close connection to the WU, until 1977 when I turned myself in. I’m interested in what your life was like when you were a federal fugitive for seven years. Are you willing to share this with Satya readers? It’s a rather long story. I’ll try to be brief. I separated from the organization early, at the end of 1970, the first year. My wife and I lived on our own in several parts of the country, working at mostly unskilled jobs. I became a construction laborer. We had to move every one and a half years or so, sometimes more often. Lived in anonymous working class communities, both rural and urban, east coast and southwest. It was very arduous work always trying to keep clean ID, staying at least two years ahead of where the FBI knew we had been. It was scary and nerve-wracking, and I was often depressed because I felt it was a total waste of my time. I never did get into the romance of being an outlaw. Too domestic, I think. The hardest part was being nobody in no community, never letting people know who we were. When we came up in 1977, it took a year to get to New Mexico, but we jumped into a community of activists, Anglo, Chicano, Indian, right away. My wife and I separated several years later, but we have both stayed here, raised kids, have jobs. I built a house starting from 1982, planted many trees, and have never ever considered moving again under any circumstances. My line is “they’ll have to kill me to get me out of here.” I’m not sure who “they” are. In your interviews in the documentary, you seem conflicted about your involvement with the group. How do you feel about the group now? Conflicted is a great word because it covers a dual judgment: on the one hand, it isn’t easy to know what the right thing to do is when your country is murdering millions of people, and on the other, in hindsight, the consequences of our revolutionary violence line were terrible. You witnessed the Weather Underground’s tactics to get their message across escalate from organizing demonstrations to destroying private property. How did this transformation come about—was it gradual or spontaneous? It was both gradual—over the course of years, from 1965 to 1970—and at the same time it was also an ideological wrenching, a choice that our belief system thrust on us starting from 1969. Once we decided that this was a revolutionary time, and that we had to push the struggle as far as possible as quickly as possible, around the spring and summer of 1969, the decision to go underground to begin armed struggle came fairly quickly. Certain factions of some movements continue to use the destruction of property as a means of protest; setting fire to Hummers by environmental activists is one example. What are your thoughts on this approach? People seem to be making the same mistake we made, thinking that motives can substitute for results. The intention behind the destruction of property such as Hummers or apartments under construction seems to be to make a symbolic statement, propaganda by the deed, trying to communicate how strongly people feel about the destruction of the earth. What the ELF [Earth Liberation Front] and others arguing for property destruction forget is that their good motives count not the least in anyone’s thinking. Most Americans see violence not sanctioned by the government as either criminal or insane or both (as I said in the movie), and can’t possibly understand the environmentalists’ goals. What are those goals, incidentally? Or what should they be? My opinion is we should build a majority movement to change the political direction of the government. That is achievable, though difficult. Property destruction holds us back since it plays into the government’s hands allowing them to characterize us as terrorists. So ELF and other organizations should stop thinking they’re doing anything useful. This is harsh, but I think they are unwitting government agents (as I was, by the way). That’s an interesting idea—that by utilizing property destruction as a means to protest the government’s policies, activists are actually playing into the hands of the institution they oppose. Isn’t that obvious? Violence always plays into the hands of the opposition. It justifies repression. I know this is backwards, that the original crimes came from those destroying the environment or making war or imposing an unjust global system, but remember, all that is quite LEGAL. Violent responses to legal violence are illegal and convince neutral people watching that it is we who are the aggressors. Not only does this play into the corporations’ or the government’s hands, but it sets us up for defeat. The future of our movement is that we have the potential to build a political majority in this country. And property destruction or any other acts which are not nonviolent work against building that majority. Sheesh. Are people so out of touch? Doesn’t the current intifadah in Palestine, for example, play into the hands of the [Ariel] Sharon militarists? Didn’t the Weather Underground actually aid the FBI’s aims? History is full of this kind of backfire. Personally, I think violence is more of a psychological phenomenon, the need to mirror bad with bad. It can’t possibly work in the long run. And in the short run it doesn’t seem very effective either. How has your experience with the Weather Underground affected you? The biggest way it’s affected me has been to make me a total pacifist for completely pragmatic reasons: only nonviolence has a chance of being effective. No majority movement for the environment and peace and justice can be built in this country if it allows violence. Americans cannot and will not ever accept revolutionary violence. The concept, no matter how logical, is thoroughly alien. So is pacifism, but at least it has some historical resonance, such as the civil rights movement. Another is that revolutionary violence has no limits. Property destruction, no matter how ill-gotten the property, is still considered violence by most Americans. A cycle of action and reaction starts, it escalates, and soon revolutionaries are killing counter-revolutionaries and even each other. Oops. Better to make a rule at the outset—nobody kills or harms another. Property included. It also puts us on a higher moral ground, which is not a small thing to be sneezed away. I’ve learned a lot of other stuff, too, such as don’t believe your own ideas just because they’re your ideas. If you’re given to idealism, as many of us social progressives are, you’d better figure out some ways of checking reality. Of course realism has its downside, too, but the left tends to trip out too much. You feel very strongly that a violent approach to social change is misguided. I‘d like to bring up an interesting situation: recently, officials at Cambridge University in England announced they were rethinking plans to build a new primate research center because of the expected cost of protecting it from animal rights activists. While the University may have been trying to save face by scape-goating activists for its own lack of finances for the project, the idea that the threat of direct action (or “bullying tactics” according to some in the press) by activists affected the University’s plans is interesting. Animal rights activists were criticized by the media and Parliament, to no one’s surprise, and one article in the Evening Standard noted that “many animal rights protestors are peaceful, but they now find themselves in the morally compromised position of seeing their objectives furthered by the actions of a violent minority.” The fact of the matter is, however, that the threat of retaliation by activists may very well have been a central consideration in the University’s decision to stall the project, at least temporarily. What’s your initial reaction to this? Anne Sullivan is the marketing director for the Disinformation Company, a publishing and entertainment company in New York City (www.disinfo.com). She is an avid viewer of documentary films and highly recommends The Weather Underground, as well as Aileen: The Life and Death of a Serial Killer, Bowling for Columbine, Uncovered: The Whole Truth about the Iraq War, and American Pimp. Thank you to Mark Rudd for generously agreeing to this interview and to Sarah Gallogly for her help compiling research materials.